Lately, when editing my manuscripts, I’ve been asking myself this question: Would a kid want to read this again and again? Is it funny? Will it make kids think? Will they feel that they can relate to the characters? Is the story unique? What’s the “wow factor” of this book and will it have kids coming back for more? The next question I ask is potentially even more important than the first: Why would a parent think that their child would read this book over and over again? It’s not often that a child purchases a picture book. It’s the parents that do the initial screening. Sure a kid might pick a book up off a shelf in a store, but if that book doesn’t pass the parental sieve, it’s not going home in the hands of that child. And what’s the point of buying your child a picture book if they read it once and then it gathers dust as bookshelf clutter until mom or dad eventually toss it into a Goodwill bag? It’s a tough task, making a book appealing to both parents and children. They’re very different age groups experiencing the world in very different ways. Hopefully, with enough reflection, I’ll be able to pull it off. What are your strategies for finding this balance? Much love and keep writing. Every now and then when my hands begin to twitch and my jaw clenches from trying to force something into writing I think of this scene. And then I ask myself, am I writing from life? Am I writing from what I know to be true and good and real? If the answer is no, I scrap it. There’s too much in the depths of my soul to be wasting time writing what I don’t know. There’s too much beauty in the bay forest and the creek beyond my back door and the redwood outside my window. There’s too much wonder behind the stars that light my path at night. These are the things that I know. These are the things that are good. And these are the things I will write. It’s official. I’ve begun sending out queries for a new picture book manuscript. It feels good and productive and I’m really excited and hopeful to get some feedback from agents. Research agents that take on subject matter and writing styles similar to your own. Search for editorial agents. Editorial agents provide editing services before sending your book off to publishers. No agent is going to identify as non-editorial but many don’t provide this service. If you want help with editing before your work is sent to publishing houses, check agent websites and interviews to see if they mention editing as one of their services. Create a list of 10 to 15 agents that you are most interested in working with. Research them, research them, research them. Read their past interviews. Get to know their client lists. Read agent spotlights. Learn as much as you can about these people. Remember, if they choose to sign you, they will be representing you. Make sure you know who they are and how they like to work. Construct personalized query letters for each agent. Show that you’ve done your research. Congratulate them on a recent award they’ve won, or on a new successful client they’ve signed. Follow their specific query formatting preferences. Mention that your book will appeal to readers of one of their current client’s books. Tell them why you want to work with them, specifically. Have a handful of other manuscripts ready to send. There’s a chance that an agent will ask to see more of your writing. 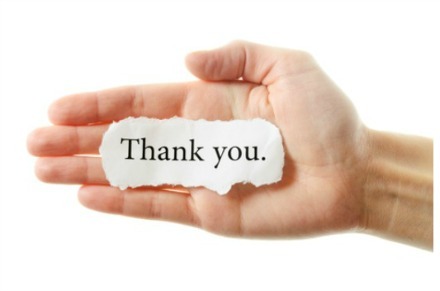 If they say no, or offer any sort of feedback, thank them and use it as an opportunity to send them a new manuscript: “Thank you for your feedback on So and So Manuscript. I’ve taken the advice you gave me and used it when revising my latest manuscript, The Adventures of So and So. I think it would fit nicely with your current list because of reasons A, B, and C.” As you continue sending them your work, you’ll begin to build a relationship with the agents you’re interested in working with. They’ll recognize your name. They’ll get to know your writing style and voice. Above all, they’ll recognize your commitment and desire to work with them. I really like Dev’s approach because of its personal nature. Since I’ve started following her advice, I feel more connected to the querying process. It only makes sense that one should know as much as possible about a person before trying to work with them. After doing mountains of research I feel as though I am more equipped to make a case for my book and why someone should add me to their client list. Wish me luck. I’ll keep you updated. Is Your Picture Book Ready to Send? This past weekend I attended a talk by picture book author, Dev Petty, at my local SCBWI chapter meeting. Dev is the author of I Don’t Want to Be a Frog and I Don’t Want to be Big. As promised in my last post, here is a list of questions that Dev asks herself before sending her picture books to agents. Have I read current and popular picture books? If so, what have I learned about current popular flow, rhythm, and style? Have I considered writing in different tenses, points of view, and formats? Have I considered deeper options, metaphors, and ideas? What is the most interesting way I can turn my idea into a story? Does my story have a strong beginning and a satisfying ending? Does my story have an original voice? Did I leave room for the illustrator? Did I consider action on the page? Did I leave room for the reader to participate with the text/images? Do I get quickly into the action and story problem? Did I read it out loud? Many times? To different audiences? Is it rhyming? If so will that hinder my chances of getting published? Dev made a good point about the fact that rhyming texts are harder to edit for publishers. She also shared that agents/publishers tend to be more enthusiastic about signing picture books with prose than with rhyme. Is more than one beta reader telling me the same thing? Can I remove anything that isn’t adding to the story? Does my query letter voice reflect my writing voice? Do I have a social media presence? So there you have it, the thought process of a published, successful picture book writer. I fully intend to ask myself all of these questions before sending manuscripts out in the future. Hopefully they’ll work for me (and for you!) like they worked for Dev. It’s been about a year since my blog went silent—a year, two new teaching jobs, two cross-country moves, and a trans-Atlantic relationship, since my last post. I can blame the crickets on circumstance, or I can just fess up. Maintaining a blog is a lot of work. Sometimes when life gets hectic something’s gotta go and for me it was the blog. Despite my cyber silence, my plight for publishing has far from ceased. Queries continue to fly from my ever-hopeful fingertips but to no avail. Something about my first book just wasn’t cutting it. So I took it to the cleaners, ransacked the ending, a few major plot points, and started rebuilding. The direction it’s taking feels good and new and fresh and promising. But I got stuck. I’m frozen somewhere between my old manuscript and my vision for the future. So instead of prying reluctant words from my brain, I recently set it aside. My neurons simply refuse to fire in the order it will take to finish that book right now. So screw ’em. They’ll come around eventually. In the meantime, besides short stories, other YA novel ideas, and journaling, I’ve turned my attention towards another writing outlet: picture books. They’re short, and snappy, and to the point. And the best part is, they make little kids think. Tiny little ones all over the country read, and are read picture books every day. And their tiny little brains use the information in those books to help them make sense of the crazy world that they so recently arrived in. What a cool opportunity to be a part of. So I wrote the first draft of a picture book a few weeks ago. And just a few days later got an email from my local SCBWI chapter with the subject, “Is Your Picture Book Ready to Send? 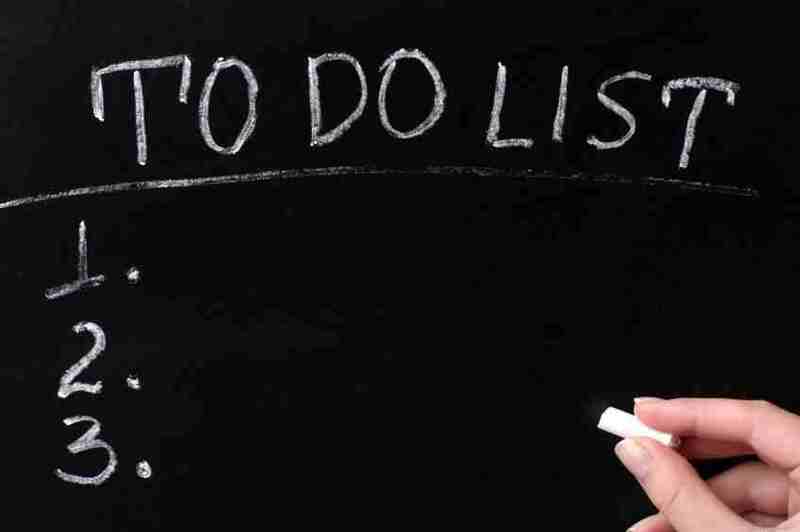 A Checklist for All Writers.” The universe works in weird ways sometimes. Well, all the time actually. The email turned out to be an advertisement for a local meeting with a guest speaker named Dev Petty, author of I Don’t Want to Be a Frog and I Don’t Want to be Big. During her talk she provided the list of questions she always asks herself before sending manuscripts to agents. I fully intend to break down the important points of her talk in my next blog post, but the real point here is that this meeting really inspired me to get back on the blogging train. It’s time to sweep the crickets out and get back to business. I have returned to the cyber world. And here I shall stay. Stay tuned and keep writing. Today’s post is about gratitude. More specifically, it’s about the endless appreciation I have for my readers. Composing a novel is a rewarding yet maddening process. The journey from to a jumbled clot of half-formed ideas to a coherent parcel of neatly synced details is a long one. It’s like creating an incredibly elaborate patchwork quilt. Every detail is it’s own patch and not only does each patch have to compliment the ones directly next to it, it has to tie into the ones above and diagonal to it. It has to fit with the border. There have to be patterns and themes. And too top it all off, everything has to be neatly stitched together–so well stitched that you can’t see the stitches. The more time you spend on a novel the harder it is to look at it objectively, to see if each patch is in place or if you’ve missed a stitch. Everything gets muddled inside your head. It’s for this reason that I’ve come to appreciate the immense importance of having people read your work as you go–of having beta readers. Over the last year and a half I’ve been lucky enough to have some incredible people volunteer to read and edit my novel. My parents were the first. They’ve been more supportive and helpful than I could ever ask for and I wouldn’t have made it this far if it weren’t for them. Others who have taken many hours out of their days to read and give me feedback include my brother, grandma, my two beautiful aunts, Cameron Daniel, Becca Farmer, Lars Nordgreen, Ren Luckenbaugh, Max Pollock, Aaron Juchau, Andrew Punsoni, Kimberly Sabatini, Mark Holaday, Tanner Connolly, Danielle Renino, and anyone else who I might have missed. I’ve thanked all of these wonderful people individually but today I wanted to take a moment to revisit the support they’ve shown me. Whether you read the first few pages or all 270, my novel would be nowhere near it’s current state if it weren’t for you. Thank you for backing me in this journey. Much love & keep writing. This post goes out to those of you that are in the drafting stages of your first book. Right now you’re probably experiencing some Frankensteinesque tunnel vision along the lines of “Must finish book, must finish book…” It’s an involuntary mantra that never seems to turn off, even in sleep. I used to dream of finishing my manuscript only to wake up and find that I was still at a meager 20,000 words. The point of this post is to drive home a very important message: The work doesn’t end once you’ve written your last word. Once you’ve decided your manuscript is ready to be seen by the eyes of agents and publishers you’re opening an entirely new can of worms and those worms need tending to. Beta read for other writers. Those are just the things I could think of off the top of my head. It’s safe to say that I’ve got quite enough to keep me busy for a while. 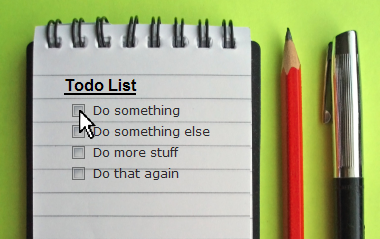 For those of you that are in the same stage, what’s on your writing “To Do” list? Is it the same as mine? Shorter? Longer? Did I miss anything? Much love, and keep writing.